Intel’s flagship Core i7-4960X and the rest of the Ivy Bridge-E processors arrive on 11th September with the new 22nm design process featuring tri-gate architecture. We have already seen the performance preview of the Core i7-4930K which proves to be a mere 5% improvement over Core i7-3930K. Today, thanks to Coolaler Forums, we will be looking at the overclocked performance of the flagship Core i7-4960X processor against the previous flag-ship Core i7-3970X. 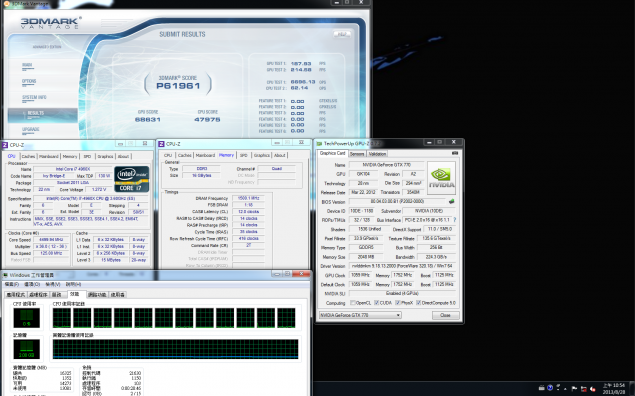 Note – Both processors were running at 4.5 GHz clock speed and used DDR3-3000 MHz memory.